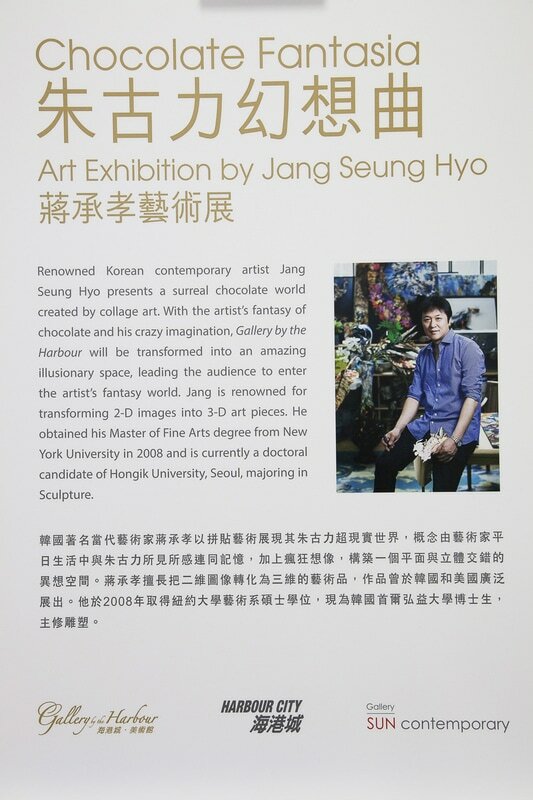 Renowned Korean contemporary artist Jang Seung Hyo presents a surreal chocolate world created by collage art. With the artist's fantasy of chocolate and his crazy imagination, Gallery by Harbour will be transformed into an amazing illusionary soace, leading the audience to enter the artist's fantasy world. Jang is renowned for transforming 2D images into 3D art pieces. He obtained his Master of Fine Arts degree from New York University in 2008 and is currently a doctoral candidate of Hongik University, Seoul, majoring in sculpture.